Welcome to Bowers Race and Rod ShopSantiam Valley’s premier Street Rod and Custom Car builder. Family owned and operated since 1995, we provide our customers with quality craftsmanship and personalized service to fulfill their project dreams. Complete suspensions, wiring, rust repair, frame-off restorations, custom metal work and fabrication, you name it and we will make it happen. No matter the size of the job, we will make sure that the same quality care and expertise go into each one. We are located near Salem, Oregon in the heart of the Willamette Valley just minutes from I-5. 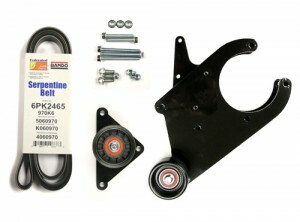 LT1 A/C Relocation Kits: Save money and parts with our kits for your project. Copyright © 2019 Bowers Race & Rod Shop All Rights Reserved.